Food Security is a priority goal for the Government of Bangladesh and researches in different branches of agriculture can play a vital role in developing new agricultural technologies leading to increased production of crops, livestock, fisheries and forest resources. Such increases in production, development of post production, technologies, efficient marketing and better distribution system jointly with diversification of food habits can greatly contributes towards achieving food security. This was stated by Scientist of international repute and National Professor Dr. A.K. M. Aminul Haque while speaking as chief guest at a day long seminar on 'Household Food Security: Problems and Opportunities for the Resource Poor Framers' at the TSC Conference Hall on 23rd August, 2008 organized by the Ph. D. Students' Association of the Bangladesh Agricultural University (BAU). Presided over by Professor Dr. M. Burhan Uddin , Co-coordinator, CASR, BAU, the inaugural session were attended by BAU Vice-Chancellor Professor Dr. Md. Akhtar Hossain as chief patron while Dr. F. H. Ansarey, Executive Director, Agri-Business, ACI Ltd was special guest. Eminent agriculturalist Professor Dr. S. M. Altaf Hossain of the BAU Agronomy Department presented the key note paper at the seminar. BARI Director Dr. Md. Azizur Rahman stressed the need for agricultural research and autarky in food production of the country. Former UGC Professor Dr. Md. 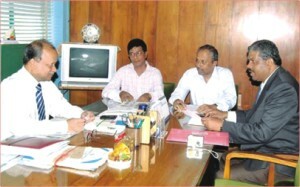 Aziziul Haque of the Department of Horticulture presided over the Technical session. In all, 31 research papers and articles were presented in the seminar. Dr. Md. Aftab Hossain and Mr. Md. Abdul Awal, President and General Secretary respectively of the BAU Ph.D. Association spoke on the occasion explaining the academic and research activities of the students. Recently, the Cisco Learning Institute declared 40 scholarships earmarked for students of the Cisco Networking Academy enrolled in CCNA (Exploration or Discovery) around the world. Out of total 500 applicants for the scholarship around the world, only 40 applicants were awarded the scholarships based on merit. Of these 40 winners, Bangladesh alone won 7 scholarships, which is the highest in the world for any single country. And, of these 7 recipients of this prestigious scholarship awarded by the Cisco Learning Institute, 5 students are from AIUB, 1 from BUET, and 1 from KUET. Not a small achievement considering the fact that the second highest joint-recipients were India and the Philippines both winning 5 scholarships each nation-wide. Mohammad Rezaur Razzak, Director of the Continuing Education Center at AIUB, which manages the Cisco program, says that this achievement is a reflection of AIUB's commitment to developing world-class human resources for the global ICT industry. This success follows closely at the heels of AIUB's recent grand success in sweeping the top three prizes at the “Cisco National Skills Competition 2008 held on July 05, 2008” where 34 teams comprising of 136 participants from 11 universities of Bangladesh were present. Mr. Rezaur Razzak also mentioned that many of AIUB's graduates are working for top names in ICT such as Google and Microsoft. Currently, Cisco India has invited AIUB's CSE & EEE graduates to apply for job placement at Cisco's facilities in Bangalore . 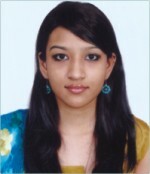 Zaria Aziza Ahmed who sat at the GCE O Level Art and Design examination in June 2008 held by the British Council, Dhaka, achieved one of the highest overall marks worldwide in Art & Design Exam and was placed among the top ten worldwide international students. A three week long ULAB Summer Course has ended on 17th September in University of Liberal Arts Bangladesh (ULAB). A total 56 person from different background participated in ULAB Summer Course. The courses were conducted by ULAB faculty members in its own Dhanmondi campus. ULAB offered the following courses: Graphics and Multimedia, Web Designing, English: Speak better in 3 weeks and Get Rich in the Sock Market. After the successful completion of the summer course Professor Imran Rahman, Pro- Vice Chancellor and Director, ULAB Business School distributed certificates among the participants. The summer courses started 1st September and ended on 17th September. Internationaly reputed scientists Prof. Dr. H. S. Prakash, Coordinator, Asian Seed Health Centre (ASHC) under DANIDA Programme along with Prof. Dr. S. R. Niranjana, Chairman, Department of Applied Botany and Biotechnology of the University of Mysore, India called on Vice-Chancellor Professor Dr. Md. Akhtar Hossain during their weeklong visit at the Bangladesh Agricultural University (BAU) on September 24. They discussed matters related to academic interest including establishment of relationship between Asian Seed Health Centre of India, Danish Seed Health Centre (DSHC), Denmark and other countries of the world for the cooperation and coordination of joint research, training and publication exploring the opportunity. Vice-Chancellor Professor Dr. Md. Akhtar Hossain expressed his satisfaction and ensured all sorts of administrative cooperation to achieve the academic goal. He also desired all sorts of cooperation from the visiting scientists to go forward with the existing resources of Seed Pathology Centre (SPC) for the development of agricultural Science. Prof. Dr. M. Ayub Ali, SPC Director of BAU was present during the meeting. During their weeklong visit at BAU, Prof. Dr. M. Ayub Ali, Director, Seed PathologyCentre (SPC) of Bangladesh and the ASHC representatives Dr. H. S. Prakash and Dr. S. R. Niranjana discussed academic and research issues. The areas identified for research cooperation are: Molecular database of Seed borne Pathogens, Molecular diagnosis, Biological control, Mycotoxins, Explore possibilities of research and training cooperation. The Identified areas of common interest : Host Pathogen combinations, Ph.D. programmes, Exchange of views between Scientists and students through cooperating centers, Joint publications in high impact journals and patents and E-module of seed health training curriculum. It may be mentioned here that Danish Seed Health Centre (DSHC) has established two Regional centers namely Asian Seed Health Centre in Mysore of India, and African Seed Health Centre in Tanzania of Africa. DANIDA supported establishing the centers. Seminar on 'ICT-Bioinformatics Robotics and Data Mining' was held at Northern University Bangladesh (NUB) city campus recently. This Seminar was organized by Faculty of Science (CSE & ECE Department). Professor Dr. Lutfor Rahman of Dhaka University was present at the seminar as chief guest. Prof. Dr. Nurul Islam, Dean Faculty of Science presided over the seminar where Md. Lutfor Rahman Director HRD, Prof. Dr. Sadaruddin Ahmed, Dean Arts & Humanities, Prof MA Razzak Dean Faculty of Business were present as special guests. Dr, Shakil Ahmed Computer Scientist Bangladesh Atomic energy Commission, Dr. Nasimul Ahsan, Dhaka University and Dr. Al-Amin Bhuiyan Associate Professor Jahangir Nagar University were present as the guest speaker. Among others prof. Mir Akramuzzaman, coordinator of CSE Dept and Engr. Md. Badiuzzaman Head ECE Dept. were also present at the Seminar.